Print this and bring it with you at your next appointment. Some exclusions may apply. See dealer for details. Plus tax & wheel weights. Some models slightly higher. See dealer for details. One to a customer. One per transaction. Not valid with any other coupons or specials. Nissan vehicles only. Good only at Surf City Nissan. Must present coupon at time of write-up. Offer runs March 1 - April 30, 2019. See dealer for more details. *Over the counter purchase only. Installation not included. Nissan only, some models may be extra. See dealer for details. Cannot be combined with any other offer. 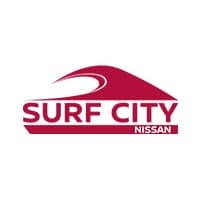 Surf City Nissan	33.7107111, -117.9897093.